Tag Archive | "Cedar Springs Area Parks and Recreation"
Roosevelt Diggs performed at Morley Park last year during concerts in the park. Post photo by J. Reed. 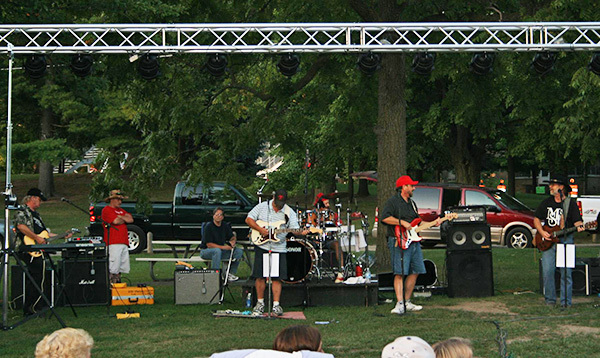 Cedar Springs Area Parks and Recreation will kick off their summer series of concerts at Morley Park this Thursday, June 16, with the Oxymorons at 7 p.m.
Now in its 10th year, the concerts put on by Cedar Springs Parks and Recreation and sponsored by area businesses give people a chance to relax with friends and family, while listening to some great music. Other dates this summer are July 21 with Mane Street, and August 18 with The Cheap Dates. Be sure to bring a lawn chair. Concerts start at 7 p.m. and admission is free. Roosevelt Diggs performed at Morley Park last Thursday night. Post photo by J. Reed. Cedar Springs Area Parks and Recreation kicked off their summer series of concerts at Morley Park last Thursday, June 18, with local band Roosevelt Diggs. 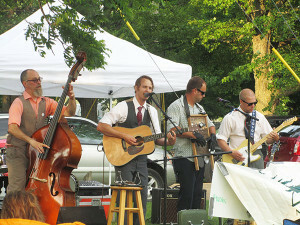 The band’s unique mix of country, folk, bluegrass and blues was a feast for the ears, and it was a beautiful summer evening to sit and relax with friends and family. There were concessions on site, and free raffle tickets gave concert-goers a chance to win prizes from area businesses. Check out Roosevelt Diggs on YouTube, or their website rooseveltdigs.com to see where they perform next. Their album “Songs from the Shed” is available on their website or at Amazon.com. The next concert in the park is July 16 with Don Middlebrook. The Sea Cruisers will perform on August 20. Be sure to bring a lawn chair. Concerts start at 7 p.m. 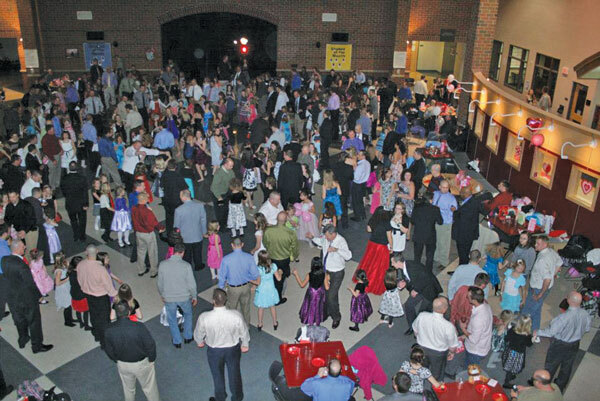 It may have been postponed for a month due to inclement weather, but the annual Daddy daughter dance put on by Cedar Springs Area Parks and Recreation was a night to remember for the nearly 500 people in attendance last Saturday, March 1. 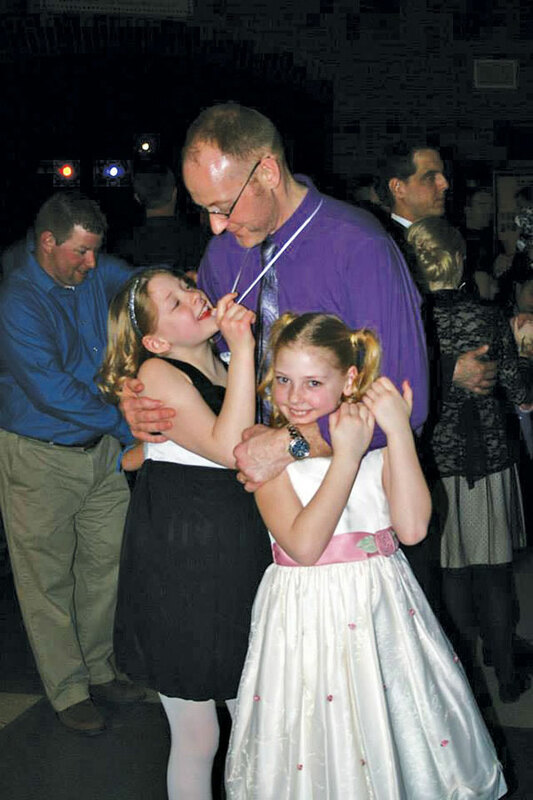 Originally scheduled for February 1, the dance took place at Cedar Springs Middle School, and was open to girls and a special man in their life, whether a dad, grandpa, uncle, brother, or other male figure. They danced to the Cupid Shuffle, the Hokey Pokey, the Chicken Dance, the Macarena and much more. The girls made necklaces to take home and door prizes were given away. Photos of the dads and daughters were also taken. 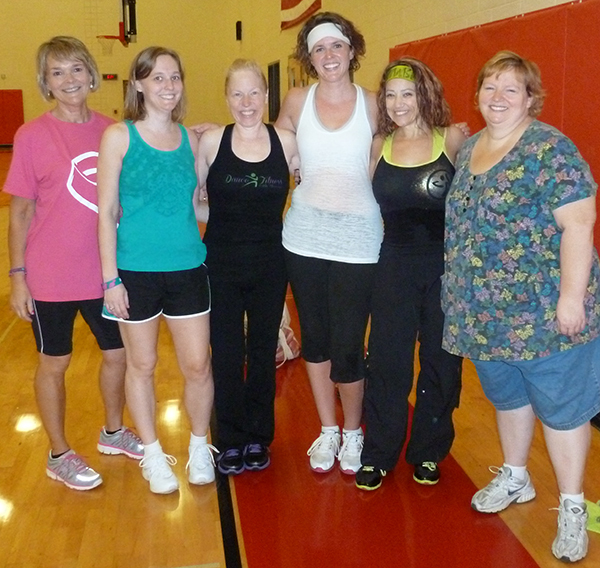 Check out videos of the event on YouTube and photos on Google + and the Cedar Springs Area Parks and Recreation Facebook. If you missed this year’s dance or just want to go back next year, mark your calendars for February 7. Tickets will go on sale December 1. 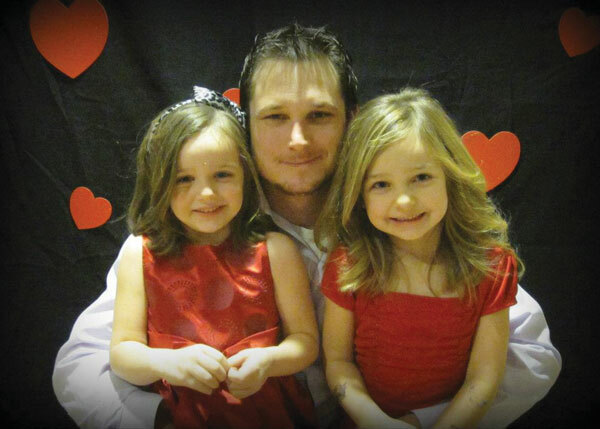 On Saturday, February 1, there will be a night to remember for 200 families. 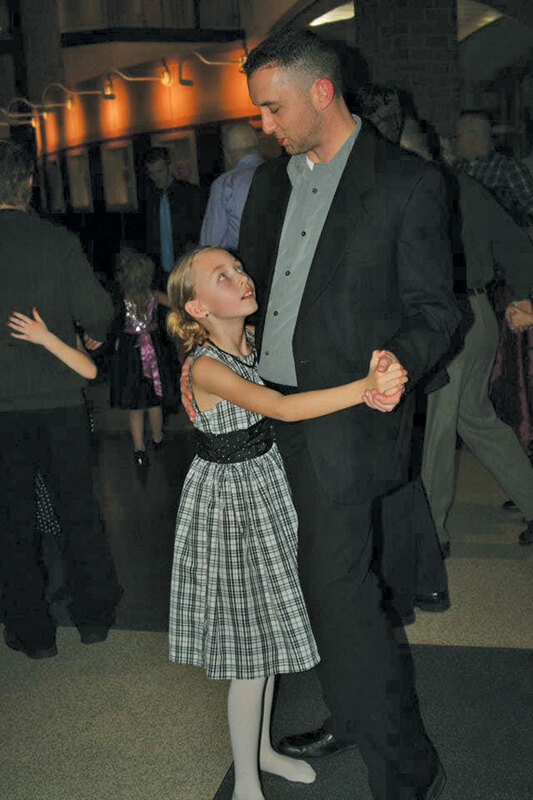 The 10th Annual Daddy Daughter Dance will be put on by the Cedar Springs Area Parks and Recreation Department at Cedar Springs Middle School. This event has grown every year and is one of the most special moments of the year for many young girls in the Cedar Springs area. 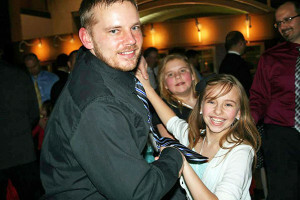 The dance is for girls of age 3 through the early teen years and the male role model in their lives. We understand that not every young lady has a father in their life, but they have a male that they look up to and that is special to them. That person may be an uncle, grandfather, older brother, or somone else. They can be the one that attends and helps create memories. The dance can be attended by anyone, not just residents of Cedar Springs. It is important that young ladies can have a night of fun and a chance to make memories that will last them a lifetime. The dance is hosted by a father and daughter DJ service, Diverse Sounds, and has punch and snacks for the attendees as well. 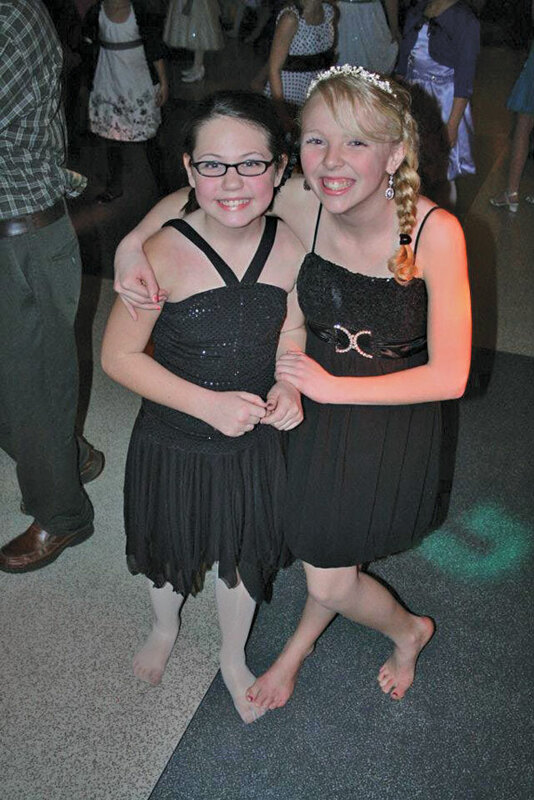 The doors will open for the event at 6:30 p.m. at the Cedar Springs Middle School and the dance will kick off at 7 p.m. Included in the ticket price is a craft project for each girl to work on with their date while at the dance, and 5×7 photos that will be taken of each couple and provided after February 14. Noah’s Animal Workshop will be at the dance offering special stuffed animals to commemorate the night for an additional fee. Tickets are on sale now during daytime office hours at Hilltop (8 a.m.-4 p.m.) and at the Middle School on Monday, Tuesday and Thursday evenings from 6-9 p.m. There is only room for 200 families and half of those are already reserved, so do not wait until the last minute. Tickets in advance are $15 for two people, or $20 for three, or $25 for a group of four or more. There will not be any tickets available at the door. For more information call 696-7320 or email director@csaparksandrec.com. We are also on Facebook and have a new website www.csaparksandrec.com, with mobile application and text alert options. The event is free to the public and will include a free raffle of door prizes during the bands intermission, which have been donated by local businesses. There will also be concessions for sale—cotton candy, sno cones, popcorn, drinks, candy bars and more. The events began in 2006 with one concert and grew in 2007 to holding three concerts. The Cedar Springs businesses work with the department to offer these events at no charge to the community. “These concerts have grown in size and have become a mainstay summer event for the Cedar Springs area,” said Parks and Rec Director Amanda Gerhardt. “We enjoy watching the community come and relax for an evening. The hard economic times make it difficult for some families to do activities, so we are thrilled to provide them this opportunity to have some fun,” she added. Another event that the Cedar Springs Area Parks and Recreation department is sponsoring is a bus trip to the Detroit Tigers on Sunday, August 4. They will be taking on the Chicago White Sox. The bussing will be provided by Compass Coach. Seats for the game are located in the lower section near the first base foul pole. A voucher is included for a hot dog, drink and chips. With the game being on a Sunday, kids can ride the ferris wheel and carousel for free, and run the bases after the game. This will be a fun event for all ages. Tickets are $85 and forms are available online and at CS Public Schools District Office. The summer concert series in Cedar Springs returns tonight, Thursday, June 20, at 7 p.m., for its seventh season. The series will be held in Morley Park on the third Thursday of June, July and August. Tonight’s entertainment will be The JetBeats, a new 4-member rock and roll combo from Grand Rapids. 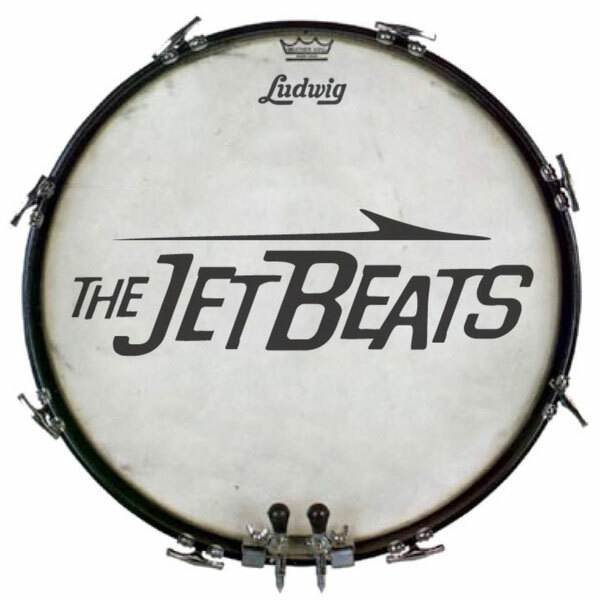 Their bio says “the group’s mission is to bring back the excitement from the high energy live shows of the early 60’s Beat Music era, as well as British Invasion classics and a healthy dose of American rockabilly and rhythm & blues.” See more at www.reverbnation.com/TheJetbeats. Great Scott will be featured on July 18, and Decades on August 15. These concerts, organized by Cedar Springs Area Parks and Recreation, are sponsored by local groups and businesses and will be free to the public. Door prizes will be given away during the band breaks, and concessions will be available for purchase. So bring your chairs and enjoy some snacks and entertainment with your Cedar Springs area neighbors! All concerts 7-9 p.m. In the event of bad weather, they will be moved to Cedar Springs Middle School if it’s available. 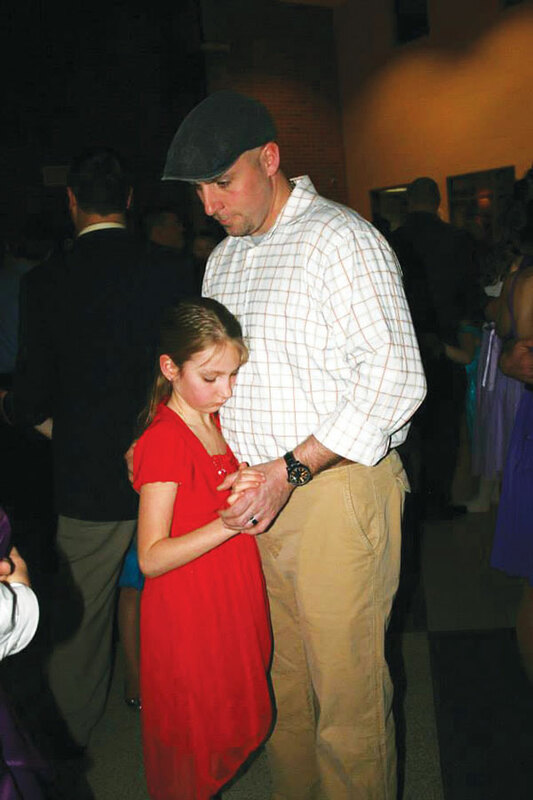 The bond between a dad and his daughter is pretty special, and over hundreds of dads and daughters got to experience that Saturday night, February 4, at Cedar Springs Middle School. 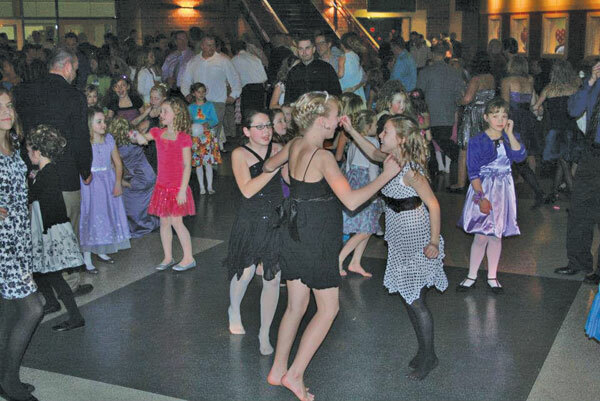 The 8th annual Daddy Daughter Dance, put on by Cedar Springs Area Parks and Recreation, keeps getting bigger every year, and this year’s dance was no exception. A little over 300 attended last year’s dance, and this year’s dance had a record 430 dads and daughters. 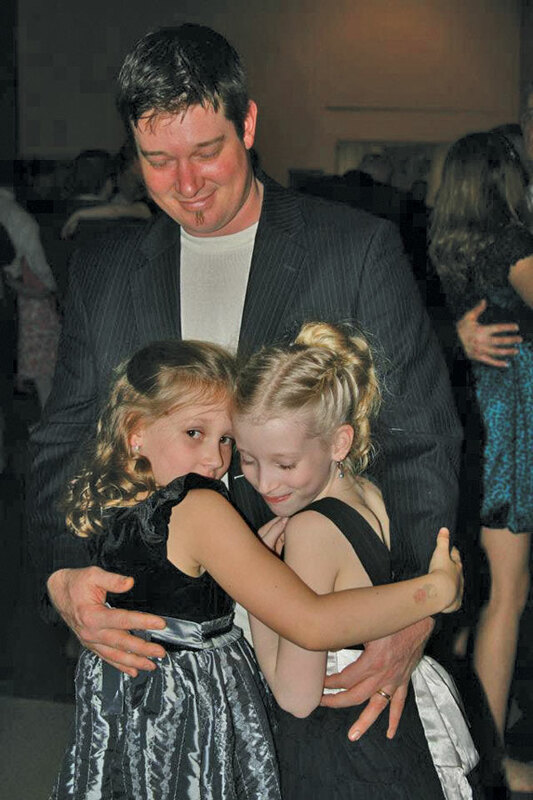 The dance, held the first Saturday in February, is for girls ages 3 through early teens and their dad, grandpa, uncle, or other father figure. Dads and daughters danced to the music of a daddy-daughter DJ team, and dances included the cha-cha slide, the hokey pokey, the locomotion, Footloose, the chicken dance, and a slow one—Butterfly Kisses. The girls were also able to purchase and make stuffed animals with special clothing, even a Daddy Daughter Dance t-shirt. “It was a special night that will create memories for all that attended,” said Amanda Gerhardt, organizer and Director of Parks and Rec.